Get ready for the loudest book fair ever! Super-size fun awaits when our school is turned into reading raptors, bookceratops, and readasaurus rex bookivores ready to unleash their inner dino and enjoy a stomping, chomping, reading good time! Part of our book fair success is because of our wonderful volunteers like you who help make it happen. It’s also a great way for you to see firsthand all of the great book titles available each season. Thank you in advance for helping to make our students lifelong readers – we couldn’t do it without your participation. Muir Lake is continuing our wee Read sessions and the students are loving it! The program will run for 8 weeks, once a week for 30 minutes, during the day at Muir lake School! If you would like more information on this exciting program please feel free to contact Kerri Schram at kschram@psd70.ab.ca or 780-963-3535. The Scholastic Book Fair Is Coming!!! During parent teacher interviews children must be accompanied by an adult in the Book Fair. Please note that the book fair will be closed between 2 pm and 4 pm on Tuesday and between 2 pm and 3 pm on Wednesday. Be a wee Read Volunteer! Thank you to our wee Read volunteers! Muir Lake has started our first wee Read session and the students are loving it! If you would like to be a wee Read volunteer and share books and conversations with our kindergarten and Grade 1 students let us know. Our next training session will be January 14th, 2019. If you would like more information or to be a part of this exciting new program please contact Kerri Schram at kschram@psd70.ab.ca or 780-963-3535. 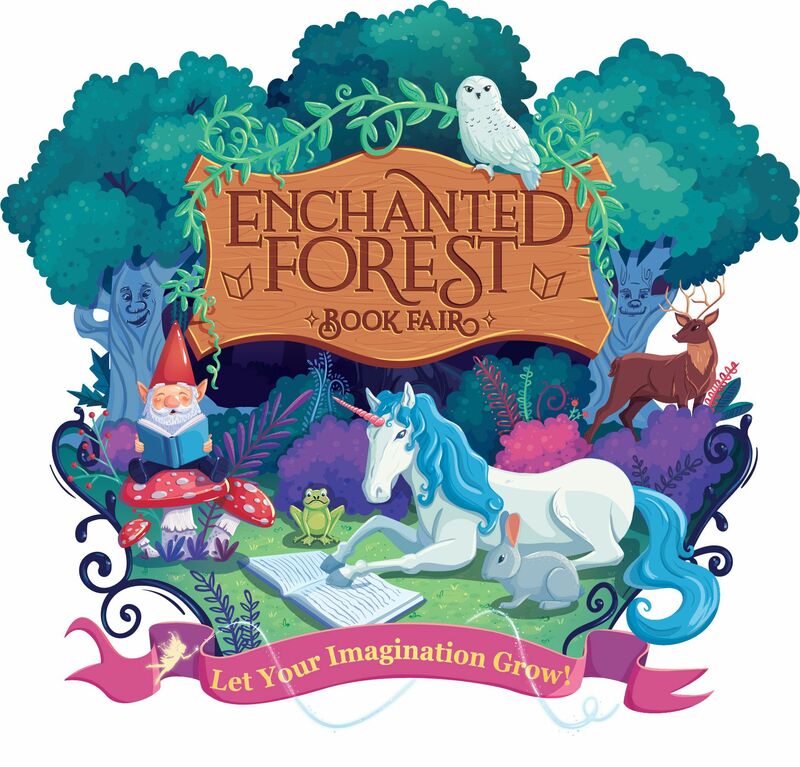 Enchanted Forest Book Fair at Muir Lake! Muir Lake Book Fair is coming October 1st! All Students and families are invited to come and check out all the great books the fair has to offer! Part of our book fair success is because of our wonderful volunteers like you who help make it happen. It’s also a great way for you to see firsthand all of the great book titles available each season. Please contact Kerri Schram via email at kschram@psd70.ab.ca or call the school at 780-963-3535 if you are able to help. We appreciate your support! Parent Council Meeting is tonight at 7 pm in the library.